1. Johann Peter ENGELHORN (Julius Jakob) was born 13 May 1842, a son of Julius Jakob ENGELHORN and Anna Margaretha ADOLPH, in Neulussheim, Germany and was christened 16 May 1842 in Altlussheim, Germany. He died 16 Sep 1925 in San Jose, Logan County, Illinois and was buried in Greenhill Cemetery, Logan County, Illinois. Johann Peter Engelhorn emigrated from Neulussheim to the United States in 1869, landing in New York, possibly stopping for a short time in Toledo, Ohio and then continuing on to Michigan, where he may have spent some time with an aunt and a cousin, John Foster. He later moved to San Jose, Illinois where he worked on a farm belonging to his uncle, Michael ADOLPH. After his marriage to Katarina Mayer he rented the Peter Adolph farm near San Jose. 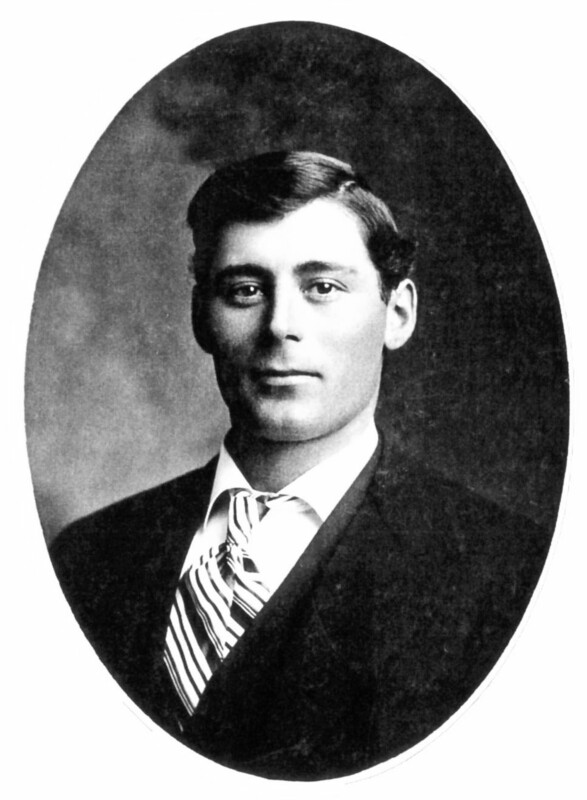 He retired from farming after 36 years and lived in San Jose until his death in 1925. Before leaving Germany he worked in a sugar factory and a cigar factory in Waghausel, a town about three miles south of Neulussheim. According to Thelma Zubrod (granddaughter), when Peter left Germany, he left at least two brothers and one sister living there. Later research indicates he had three brothers and four sisters. It is believed by some in the family that two more brothers came to America. Johann married Katarina MAYER, daughter of Valentin MAYER and Katharina EDDINGER, about 1873 in San Jose, Logan, Illinois. Katarina was born about 27 Mar 1849 in Eschweiler, Prussia, Germany. She died 15 Mar 1920 in San Jose, Illinois and was buried in Greenhill Cemetery, Logan County, Illinois. Louis ENGELHORN was born about 1874/1875. He died about 1874/1875. Julius ENGELHORN was born 12 Oct 1875 and died 12 Dec 1959. 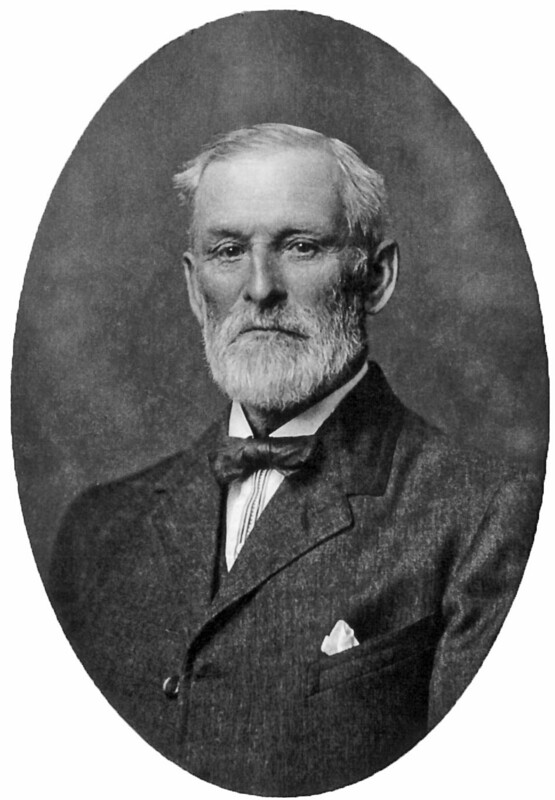 John ENGELHORN was born about 1875/1876. He died about 1875/1876. Emil ENGELHORN was born 18 Jan 1877 and died 27 Mar 1969. Louisa Carolina ENGELHORN "Lulu" was born about 28 Jan 1878 in Jacksonville, Illinois. She died 8 Feb 1953 in Jacksonville, Illinois and was buried in Greenhill Cemetery, Logan County, Illinois. Known as Lulu, Louisa Carolina never married. She was confined to the State Hospital at Jacksonville, Illinois after a serious illness about 1898. Phillip ENGELHORN was born 20 Oct 1879 and died 19 May 1954. Adolph ENGELHORN was born 3 Jul 1880 in San Jose, Logan, Illinois. He died 2 Dec 1969 in Lincoln, Illinois and was buried in San Jose, Illinois. Adolph was a letter carrier. Adolph and Bertha had no children of their own but adopted a boy named Virgil. Adolph married (1) Myrtle ALLEN before 1918. Myrtle died 14 Dec 1918. Adolph also married (2) Bertha Sellars RICE after 1920. Bertha was born 12 Aug 1884 in Pennsylvania. She died 22 Apr 1964 in Illinois. Elizabeth ENGELHORN Twin was born 25 Apr 1885 in San Jose, Illinois. She died 2 Jul 1960 in Lincoln, Illinois and was buried in Greenhill Cemetery. Known as Lizzie, she lived with her parents at San Jose, then with her youngest sister at Hartsburg and Beason, Illinois, and in retirement at San Jose. Anna ENGELHORN Twin was born 25 Apr 1885 in San Jose, Illinois. She died 1885 in San Jose, Illinois. Henry ENGELHORN was born 12 Oct 1889 and died 18 Jun 1982. Wilhelmina ENGELHORN was born 30 Mar 1891 and died 10 Apr 1970. 3. Julius ENGELHORN (Johann Peter) was born 12 Oct 1875 in San Jose, Illinois. He died 12 Dec 1959 in Morristown, South Dakota and was buried 15 Dec 1959 in Morristown. Julius moved his family from San Jose, Illinois to a homestead seven miles southeast of Morristown, South Dakota, in 1910. Julius married Paulina GRUENSFELDER "Polly", daughter of Philip GRUENSFELDER and Marie SCHWEITZER, on 28 Feb 1907 in San Jose, Illinois. Polly was born 15 May 1881 in San Jose, Illinois. She died 29 Sep 1957 in Morristown, South Dakota. Paul Julius ENGELHORN was born 24 Jan 1908 and died 30 May 1966. Marvin Emerson ENGELHORN was born 12 Jul 1909 in San Jose, Illinois. He died 8 Sep 1910 in Morristown, South Dakota. Thelma Marie ENGELHORN was born 21 Jan 1913. Luther Wesley ENGELHORN was born 6 Feb 1914 and died 12 Feb 1984. 5. Emil ENGELHORN (Johann Peter) was born 18 Jan 1877 in Delavan, Illinois. He died 27 Mar 1969 in Edgewood, Iowa and was buried 29 Mar 1969 in Manchester, Iowa. Emil farmed near San Jose, Illinois, moved to a farm near Manchester, Iowa, where he retired in 1960. Emil married Lola Virginia RITCHIE on 14 Oct 1906 in Prairie Creek, Illinois. The marriage ended in divorce. Lola was born 25 Aug 1886 in Illinois. She died Jan 1966 in Evanston, Illinois and was buried in Evanston. Emil and Lola were separated in about 1940. Miriam Ambrose Engelhorn, wife of James Raymond Engelhorn in the third generation and son of Carl Raymond, reported that Lola was estranged from her son and his children for many years. Her grandchildren hated her. She and Emil were reconciled shortly before her death. Carl Raymond ENGELHORN was born 2 Aug 1908 and died 14 Dec 1984. 7. Phillip ENGELHORN (Johann Peter) was born 20 Oct 1879 in Prairie Center. Township, Logan County, Illinois. He died 19 May 1954 in Peoria, Illinois and was buried in Greenhill Cemetery, Logan County. Phillip farmed and did custom machine work and trucking in and around San Jose, Illinois. The 1920 census lists his occupation as livestock dealer. Phillip married Pansy SELLERS on 9 Jul 1911 in San Jose, Illinois. Pansy was born 1 Oct 1886 in Tamaroa, Illinois. She died 24 Jul 1959 in San Jose, Illinois and was buried in Greenhill Cemetery, Logan County. Phillip Ross ENGELHORN was born 30 Mar 1912 in San Jose, Illinois. He died 15 Jan 1913 in San Jose, Illinois and was buried in Greenhill Cemetery. Dale E. ENGELHORN was born 23 Jul 1914 and died 29 Aug 2000. 11. Henry ENGELHORN (Johann Peter) was born 12 Oct 1889 in San Jose, Illinois. He died 18 Jun 1982 in Sioux Valley Twp, Jackson County, Minnesota and was buried 21 Jun 1982 in Windom, Minnesota. Henry grew up and attended the schools at San Jose, Illinois. He farmed for a time near San Jose until his marriage to Lydia when they moved to Northwood, Iowa, where they farmed until 1931. The couple moved to Heron Lake Township, Minnesota where they continued to farm. In 1948 they moved to Lakefield, Minnesota where they where in the seed, livestock feed and nursery business. Henry retired in 1972 and since 1980 lived with his daughter in Sioux Valley Township, Jackson County, Minnesota. Henry was a member of the First United Methodist Church of Lakefield, Minnesota. 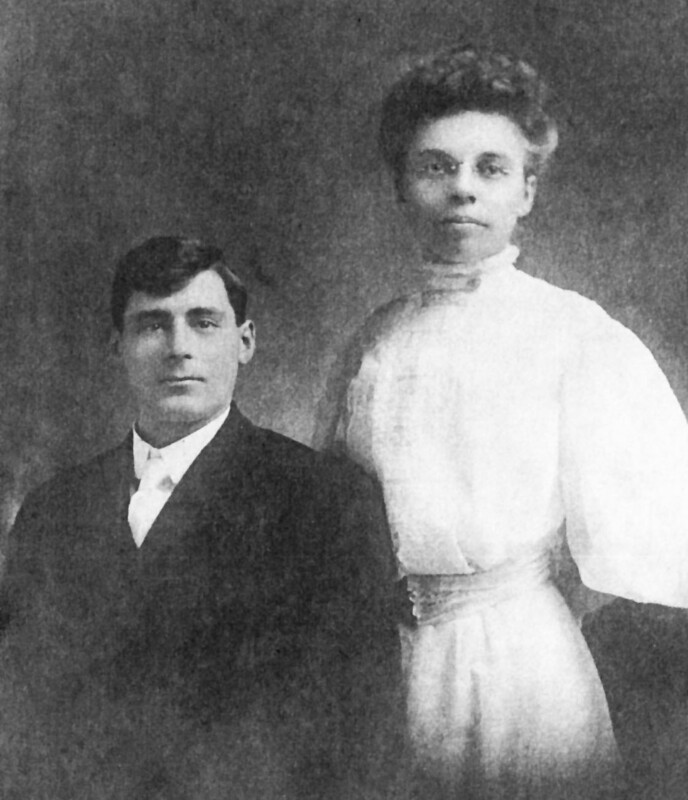 Henry married Lydia MANUS, daughter of Albert Gerjets MANUS and Remda VAN BEUNNING, on 14 Feb 1913 in San Jose, Illinois. The marriage ended in divorce. Lydia was born 6 Jan 1883 in Emden, Illinois. She died 30 Mar 1967 in Windom, Minnesota and was buried 3 Apr 1967 in Windom. Ruth Marjorie ENGELHORN was born 23 Aug 1914 and died 9 Feb 2013. Russell M. ENGLEHORN was born 27 May 1916 and died 8 Apr 2010. Donald G. ENGELHORN was born 18 Sep 1918 and died 19 Nov 2012. Muriel L. ENGELHORN was born 9 Sep 1925 and died 26 Dec 2007. 12. Wilhelmina ENGELHORN "Minnie" (Johann Peter) was born 30 Mar 1891 in San Jose, Illinois. She died 10 Apr 1970 in Lincoln, Illinois and was buried in Hartsburg, Illinois. Wilhelmina was employed as a clerk in the Charles Klink grocery store in Emden, Illinois. Minnie married Frederick Sweeter WIGGERS on 20 Jan 1921 in San Jose, Illinois. Frederick was born 27 Jan 1890 in Hartsburg, Illinois. He died 17 Jun 1961 in Lincoln, Illinois. Fred was a veteran of World War I and a farmer by occupation. During the war he was in Company D, 167 Infantry, Rainbow Division, in France and Germany. Frederick and Wilhelmina lived on a farm east of Lincoln, Illinois. Katharina Bertha WIGGERS was born 3 Nov 1921 in Emden, Logan, Illinois. Katharina graduated from the rural Logan County schools and Lincoln Community High School at Lincoln. Upon graduation she worked for the Lincoln Chamber of Commerce for 10 years. She then worked as bookkeeper, accountant and office manager for the Glenn Pontiac Cadillac Agency for 35 years. Katharina retired 1 March 1985. Katharina married John Harold GOLDHAMMER on 21 Oct 1961 in Lincoln, Illinois. John was born 5 May 1914 in Lincoln, Illinois. He died 4 Feb 1986 in Springfield, Illinois and was buried in Hartsburg, Illinois. John served in the U.S. Army in World War II with the 127th Ord., 5th Armored Division in Europe. He was a wrecker operator and tank mechanic, tech sergeant IV. Mildred Elizabeth WIGGERS was born 11 Nov 1923 and died 18 Nov 1980. Eileen Wilhelmina WIGGERS was born 8 Feb 1925 in Hartsburg, Illinois. She died 7 Oct 1926 in Lincoln, Illinois and was buried in Hartsburg. Frederick Sweeter WIGGERS Jr. was born 6 Jan 1927 in Lincoln, Illinois. He died 1 Feb 1996 in Springfield, Illinois and was buried in Cantrall, Illinois. Frederick attended the rural Logan County schools and graduated from Lincoln Community High School and Lincoln College at Lincoln, Illinois. Frederick was drafted into the U.S. Army, pfc. and served from 27 September 1950 - 26 September 1952. He was a personnel supply clerk and quartermaster at Camp Barstow, California. Following discharge he was employed by the State of Illinois at Springfield as fiscal officer for the department of labor. He retired after 33 years with the state. Marvin Eldon WIGGERS was born 31 May 1928 and died 3 Dec 2005. Kendall Alvin WIGGERS was born 29 Dec 1929 and died 23 May 2002. Thelma June WIGGERS Twin was born 4 Jun 1933. Milton Julian WIGGERS Twin was born 4 Jun 1933. 13. Paul Julius ENGELHORN (Julius, Johann Peter) was born 24 Jan 1908 in San Jose, Illinois. He died 30 May 1966 in Morristown, South Dakota. Paul and Edith farmed and ranched near Morristown, South Dakota, until he moved to Salem, South Dakota in 1936. He continued farming there and also owned and operated a fleet of school buses from 1955 to 1963. He later returned to Morristown and then to Lemmon, South Dakota. He died when a farm tractor he was driving turned over on him. At the time of his death he was working on the farm of his sister and brother-in-law, Thelma Marie and Bernard Zubrod. Paul married (1) Edith SMITH on 6 Oct 1934 in Bison, South Dakota. Dwaine Julius ENGELHORN was born 4 Dec 1938. Dwaine graduated from Salem, South Dakota high school in 1956. He worked for a livestock feed dealer and trucker. Since 1966 he has been hospitalized and institutionalized with serious head injuries and brain damage following a near-fatal motorcycle accident. Dwaine married Martha VOELTZ on 2 Feb 1958. Faye Elizabeth ENGELHORN was born 1 Sep 1944. Faye married Jerald YONKER on 23 Feb 1964. Jerald worked for a road construction company. Paul also married (2) Mary ROUBINEAUX on 6 Jun 1964 in Rushville, Nebraska. Mary was born 29 Feb 1920. She died Dec 1980 in Shannon County, South Dakota. 15. Thelma Marie ENGELHORN (Julius, Johann Peter) was born 21 Jan 1913 in Morristown, South Dakota. Thelma was educated at Northern State Teacher's College, Aberdeen, South Dakota. She taught school in Corson and Miner counties, South Dakota from 1932-1938. They ranched at Johnstown, Nebraska until about 1940 when they moved to Watauga, South Dakota where they continued ranching. Thelma married (1) H. William ROEHL, son of Frederick ROEHL and Mathilda HEIM, on 23 Jun 1938 in Ainsworth, Nebraska. William ROEHL was born 17 May 1913 in New Leipzig, North Dakota. He died 24 Jul 1958 in Lemmon, South Dakota and was buried 28 Jul 1958 in Morristown, South Dakota. William Keith ROEHL was born 16 Sep 1940 in McIntosh, South Dakota. He died 11 Sep 1990 in Columbus, Ohio. William studied theology at Wisconsin Lutheran Seminary, Mequon, Wisconsin. In 1964 he was working at Pompano Beach, Florida. Later in Columbus, Ohio. William married Constance May CONE on 12 Jun 1965 in Mequon, Ozaukee, WI. Paul Jerome ROEHL was born 8 May 1942 in Lemmon, South Dakota. He died 15 Aug 1943 in Lemmon, South Dakota. Roger Dene ROEHL was born 27 Mar 1943 in Lemmon, South Dakota. Roger studied engineering at South Dakota School of Mines, Rapid City and advanced ROTC at Fort Lewis, Washington. Roger married Myrna Fay HAM on 14 Feb 1965 in Roscoe, South Dakota. Rosemary Yvonne ROEHL was born 20 Aug 1944 in Lemmon, South Dakota. Rosemary attended Martin Luther College, New Ulm, Minnesota and worked at Lake Geneva, Wisconsin. Rosemary married Daniel Edwin BILITZ on 11 Jun 1967 in Morristown, South Dakota. Judy Lynette ROEHL was born 11 Aug 1946 in Lemmon, South Dakota. Judy attended the National School of Business, Rapid City, South Dakota. Judy married (1) Charles Eugene CALHOON on 28 May 1966 in Morristown, South Dakota. Thelma also married (2) Bernard ZUBROD on 27 Oct 1962 in Lemmon, South Dakota. Bernard was born 15 Aug 1915 in Watauga, South Dakota. He died 20 Mar 1986 in Lemmon, South Dakota. Thelma and Bernard operated the combined Roehl and Zubrod ranches, made them their retirement home and rented out the grazing and farming land. After Bernard died Thelma moved to Wisconsin to be closer to her children. She is still in charge, as a passive operator, of the South Dakota ranch. 16. Luther Wesley ENGELHORN (Julius, Johann Peter) was born 6 Feb 1914 in Morristown, South Dakota. He died 12 Feb 1984 in Hettinger, North Dakota. Luther Wesley worked as a farm hand in Illinois and eastern South Dakota during 1939-1940 and also farmed near Morristown, South Dakota. His death was due to liver cancer. Luther married Sarah Jane SMITH on 24 Oct 1936 in Morristown, South Dakota. Sarah was born 24 Feb 1919. She died 8 Mar 1999 in Morristown, South Dakota. Dwight Luther ENGELHORN was born 29 Jan 1941. Dwight married (1) Barbara BRABAZON on 19 Aug 1960. The marriage ended in divorce. Dwight also married (2) Dede unknown after 1960. Clifford Eugene ENGELHORN was born 10 Jun 1946. Clifford and Gloria inherited and live on the original Julius Engelhorn homestead southeast of Morristown, South Dakota. Clifford married Gloria Rae LONG, daughter of Bernard LONG, on 22 Oct 1966 in McIntosh, South Dakota. Gloria was born about 1948. 17. Carl Raymond ENGELHORN "Ray C" (Emil, Johann Peter) was born 2 Aug 1908 in Harness, Illinois. He died 14 Dec 1984 in Murphysboro, Illinois and was buried in Murphysboro. Raymond graduated from Lenox College in Dundee, Iowa. He began his life as a teacher and then became customer service manager for Cohen Furniture Company in Peoria, Illinois. He retired as vice president of Cohen Furniture. Ray C married Norma Eleanor Ross BANTA, daughter of Elmer ROSS and Martha MICHNER, on 1 Aug 1929 in Dundee, Iowa. Norma was born 4 Dec 1908 in West Branch, Iowa. She died 22 Oct 1979 in Murphysboro, Illinois and was buried in Murphysboro. Norma's mother, Martha Michner, died when Norma was about four years old and she was raised by Mr. and Mrs. George Banta. It is not known if she was ever formally adopted. 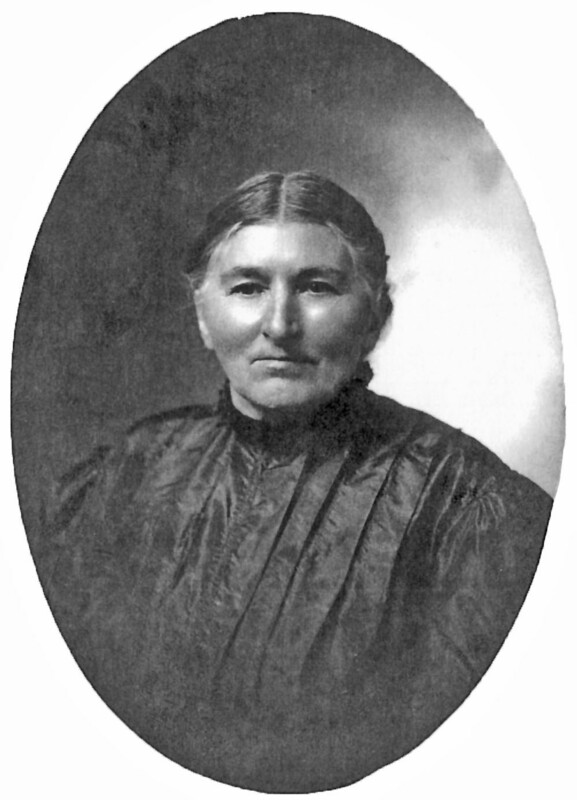 Martha Michner was one of the Quakers who had moved to West Branch, Iowa, from Doylestown, Bucks County, Pennsylvania. Family legend says that Norma was a member of the same family as author James Michener. James Raymond ENGELHORN was born 7 Dec 1930 in Earlville, Iowa. He died 6 May 1967 in Bloomington, Illinois. James Raymond worked for the Pantograph Newspaper in Bloomington, Illinois. He married Miriam Jane AMBROSE, daughter of Bernard Briley AMBROSE and Estella Irene HARVEY, on 4 Mar 1955 in Hudson Twp, McLean County, Illinois. Miriam was born 3 Nov 1928 in Normal, Illinois. She died 27 Sep 2007 in Peoria, Illinois. Miriam was a newspaper reporter and a cousin of author, Stephen E. Ambrose. Nancy Jeanne ENGELHORN was born 5 Jul 1939 in Manchester, Iowa. Nancy married Dale Wade ADKINS, son of Wade Scott ADKINS and Nancy Anne BICKERS, on 25 Jan 1958 in Pekin, Illinois. Dale was born 18 Feb 1938 in Olney, Illinois. 19. Dale E. ENGELHORN (Phillip, Johann Peter) was born 23 Jul 1914 in San Jose, Illinois. He died 29 Aug 2000 in Pontiac, Illinois and was buried 1 Sep 2000 in San Jose, Illinois. Dale graduated from San Jose High School and Bradley University followed by graduate studies at Illinois State University where he earned his MS. He played minor league professional baseball for five years. He taught high school for 35 years in East Peoria, Princeville, Herscher, Ellsworth, and Cornell. Dale was a veteran of the U.S. Army Air Corps and Air Force, serving in World War II. He was a member of First United Methodist Church of Pontiac and a member of B Club, Farm Bureau, Retired Teachers Association, Bloomington Consistory, and Delavan Lodge #156. Dale did volunteer work at Illinois State Boys track meets; his hobbies were sports: fishing and hunting. His death was due to Guilain Barre syndrome. Dale married Mildred NANNEN, daughter of George NANNEN and Paulina WOLF, on 21 Sep 1940 in Davenport, Iowa. Mildred was born 8 Aug 1914 in San Jose, Illinois. Richard ENGELHORN "Rich" was born 30 Dec 1945 in Peoria, Illinois. Richard is a professor in the Department of Health and Human Performance at Iowa State University. He is an expert on youth sport. Richard married (1) UNKNOWN. The marriage ended in divorce. Richard also married (2) Debra PATTERSON on 12 Jan 1996 in Boone, Iowa. Debra was born 14 Sep 1954 in Boone, Iowa. Betsy Jo ENGELHORN was born 7 Mar 1949 in Peoria, Illinois. Betsy married Robert DOWDY on 14 Nov 1970 in Pontiac, Illinois. The marriage ended in divorce. Robert was born 28 Jun 1948 in Decatur, Illinois. 20. Ruth Marjorie ENGELHORN (Henry, Johann Peter) was born 23 Aug 1914 in Northwood, Iowa. She died 9 Feb 2013 in Sioux Valley Twp, Jackson County, Minnesota. Ruth was a member of Trinity Lutheran Church of Sioux Valley, Ladies Aid, Nursing auxiliary, the Red Hats, and Sioux Valley Garden Club. She enjoyed her family, laughing, baking and cooking, gardening, quilting, her church, and time visiting others. Ruth married Ferdinand Gustav WULF "Ferdie", son of Fred WULF and Agnes BROCKMAN, on 28 Nov 1937 in Delafield Township, Jackson County, Minnesota. Ferdie was born 27 May 1914 in Sioux Valley, Minnesota. He died 11 Jun 1995 in Sioux Valley, Minnesota and was buried 13 Jun 1995 in Sioux Valley. Ferdinand grew up and attended the schools of Sioux Valley, Minnesota. He and Ruth farmed near Sioux Valley until his retirement. Patricia WULF was born 20 Mar 1940 in Jackson, Minnesota. Patricia married (1) Wayne TURNER on 31 Aug 1956 in Sioux Valley, Jackson, Minnesota. The marriage ended in divorce. Patricia also married (2) Robert LARSEN on 14 May 1977. Richard WULF was born 10 Oct 1946 in Jackson, Minnesota. Richard continues operate the Wulf family farm. Richard married Nancy JOHNSON on 22 Mar 1969 in Sioux Valley, Minnesota. 21. Russell M. ENGLEHORN (Henry, Johann Peter) was born 27 May 1916 in Northwood, Iowa. He died 8 Apr 2010 in Windom, Minnesota. Russell spelled his name LE because that is the way his mother registered him for elementary school. Name changes were sometimes made in consideration of insensitivities toward people of German ancestry. Russell graduated from Sioux Valley High School in Lakefield, Minnesota and attended Mankato Commercial College in Mankato, Minnesota. Following college he worked with his father on the family farm. In the 1950s he left farming and moved his family to Windom and started work for the Cottonwood County Highway Department where was employed until his retirement in 1981. In retirement he and Miriam divided their time between homes in Windom and Douglas, Arizona. Russell was a member of the first United Methodist Church and the Masonic Lodge in Windom. He will be remembered for his sense of humor and ready smile. He loved to garden and had a large vegetable garden for many years. He liked to grow fruit and was proud of several apple varieties he cultivated in his yard as well as peach and pear trees behind his house in Douglas. Russell married Miriam Ellen EVANS, daughter of Burton Ira EVANS and Mary Ellen HILDEBRAND, on 8 Mar 1948 in Windom, Minnesota. Miriam was born 14 Oct 1920 in Windom. She died 4 Nov 2008 in Windom, Minnesota and was buried 9 Nov 2008. Miriam taught school for a number of years in Douglas, Arizona. She will be remembered for her laugh and smile, her passion for lifelong learning, and her devotion to music. She loved her cats, travel, needlework, and cruising in her convertible with the top down. She was a member of the First United Methodist Church, America Legion (Honor Guard), the Red Hatters, and a past member of the Order of Eastern Star. Roger W. ENGLEHORN was born 3 Dec 1948 in Windom, Minnesota. Roger married LaVonne BONEWITZ, daughter of Oliver John BONEWITZ and Londa P. SIGLER, on 13 Dec 1987 in Red Wing, Minnesota. LaVonne was born 10 Aug 1945 in Charles City, Iowa. James B. ENGLEHORN was born 1 May 1952 in Windom, Minnesota. Jim is a bridge worker with the Minnesota Department of Transportation in Windom, Minnesota. James married Cheryl JOHNSON. Cheryl was born about 1959. 22. Donald G. ENGELHORN "Don" (Henry, Johann Peter) was born 18 Sep 1918 in Northwood, Iowa. He died 19 Nov 2012 in La Habra, California. As a boy, he drove a horse and carriage to a one-room schoolhouse and later worked for his room and board to attend high school in Sioux Valley. He graduated from Mankato Commercial College in 1938. When the war broke out Donald decided to go to California to enlist in the Navy. Before leaving, he got baptized by his pastor because he was going to that "wild state of California". He gave God credit for everything good in his life. On arriving in California he immediately found a room with his barber's son in La Jolla, paradise to this farm boy. Next, he stood in the back of a long line of applicants in his topcoat and hat and was asked to come to the front and given a job inspecting airplanes. As the war escalated, Donald wanted to become a "fly boy" in the Navy and when enlisting the Lt. Commander said to him, "Don't be a fly boy Donald, I am going to send you to the University of Texas to become an officer. He graduated with a degree in civil engineering, the war ended and as a commissioned officer he was sent to China. When he returned he began work for the American Bridge division of US Steel coordinating the building of bridges. Work on one of the bridges took him to Woodland, Washington and it was there that he met Genevieve. Donald later founded Donald Engelhorn Associates, building contractors, in La Habra, California, which he owned until his retirement. Don married Genevieve SCHEI, daughter of Henry SCHEI and Astrid HOLLAND, on 9 Jul 1949 in Ridgefield,, Washington. Genevieve was born 29 Jan 1924 in Woodland, Washington. She died 23 Aug 1990 in Whittier, California. Marcia ENGELHORN "Marcie" was born 21 Feb 1951 in Los Alamos, New Mexico. Marcie married Michael L. TILLMAN on 15 May 1976 in La Habra, California. Michael was born 7 Oct 1948 in Tokyo, Japan. Lorinda ENGELHORN "Rindy" was born 6 Sep 1954 in Hermiston, Oregon. Kristina ENGELHORN "Chris" was born 26 Sep 1955 in Whittier, California. 23. Muriel L. ENGELHORN (Henry, Johann Peter) was born 9 Sep 1925 in Northwood, Iowa. She died 26 Dec 2007. Muriel and Cletus farmed in Belmont Township until Cletus was appointed rural mail carrier in May 1958. Muriel married Cletus BEZDICEK, son of Fred BEZDICEK and Olive BETLACH, on 17 Nov 1948 in Lakefield, Minnesota. Cletus was born 16 Mar 1918 in Lakefield. He died 14 Jan 1968 in Lakefield and was buried 17 Jan 1968 in Lakefield. Cletus was a rural mail carrier in Jackson County, Minnesota and a veteran of World War II, serving in the Armed Forces from 1940 until 1946. He died in a one-car accident when his car struck the Jack Creek Bridge 1 ½ miles south of Lakefield. Barbara BEZDICEK was born 7 Oct 1949 in Lakefield, Minnesota. Barbara married (1) P. COLEMAN. The marriage ended in divorce. Barbara also married (2) Ray MAYRON on 19 Jul 1986 in Minneapolis, Hennepin, Minnesota. Mark BEZDICEK was born 1 Feb 1951 in Lakefield, Minnesota. Mark married (1) Ruth unknown. The marriage ended in divorce. Mark also married (2) Lynn WACLEY on 23 Sep 1989. Donald BEZDICEK was born 27 Dec 1952 in Lakefield, Minnesota. Donald married Diane CHRISTIANSEN on 7 Jan 1978. Debra BEZDICEK was born 24 Jan 1956 in Lakefield, Minnesota. Debra married Richard POTTER on 18 Dec 1984. Victor BEZDICEK was born 9 Oct 1958 in Lakefield, Minnesota. Victor married Kim DANKBAR on 14 May 1983. Scott BEZDICEK was born 3 Feb 1965 in Lakefield, Minnesota. Scott married Corinne SWEENY on 15 Aug 1993. 25. Mildred Elizabeth WIGGERS (Wilhelmina ENGELHORN, Johann Peter) was born 11 Nov 1923 in Hartsburg, Illinois. She died 18 Nov 1980 in Springfield, Illinois and was buried in Hartsburg, Illinois. Mildred attended the Logan County rural schools and graduated from Lincoln Community High School. She worked for the Illco Independent Oil Company in Lincoln as an accountant and office manager for nearly 25 years. She left Illco to work for an Oldsmobile agency as office manager until the dealership closed. She then worked for an audit and tax agency and for the circuit clerk of Logan County. Mildred married Grant William JOHNSON on 28 Feb 1954 in Lincoln, Illinois. Grant was born 28 Mar 1915 in Atlanta, Illinois. He died 29 Jan 1985 in Lincoln, Illinois and was buried in Hartsburg, Illinois. Elizabeth Ann JOHNSON was born 8 Jul 1958 in Lincoln, Illinois. Elizabeth married James LeRoy DAVIS Jr. on 26 May 1979 in Lincoln, Illinois. The marriage ended in divorce. James was born 1 Jun 1956 in Lincoln, Illinois. Lori Kay JOHNSON was born 21 Feb 1962 in Lincoln, Illinois. 28. Marvin Eldon WIGGERS (Wilhelmina ENGELHORN, Johann Peter) was born 31 May 1928 in Lincoln, Illinois. He died 3 Dec 2005. Marvin attended the rural schools of Logan County and graduated from Lincoln Community High School. Marvin was drafted into the U.S. Army and served from May 1951 to May 1953, with the 11th Field Hospital, European Theatre, Augsburg, Germany. He was head scrub nurse in charge of enlisted personnel in the surgical section. Following military service Marvin farmed near Beason, Illinois, both diary and grain farming. He sold his farm in 1996 and retired in Lincoln, Illinois. Marvin married (1) Norma J. Clark CAMEL on 8 Oct 1955 in Windsor, Illinois. The marriage ended in divorce. Norma was born in Lincoln, Illinois. Kevin Frederick WIGGERS was born 27 May 1956 in Lincoln, Illinois. He died 5 May 2006. Kevin married Carrie Sue ENGLAND on 14 Oct 1989 in Indianapolis, Indiana. Carrie was born 15 May 1962 in Indianapolis. Karen Leigh WIGGERS was born 1 Jul 1957 in Lincoln, Illinois. Karen married John Phillip SANDEL on 29 Jul 1978 in Lincoln, Illinois. John was born 13 Oct 1956 in Lincoln, Illinois. Marvin also married (2) Ruth J. Tunila AWE on 21 Sep 1968. Ruth was born 20 Nov 1933 in Wilkes Barre, Pennsylvania. Amy Denise WIGGERS was born 12 Jan 1971 in Lincoln, Illinois. 29. Kendall Alvin WIGGERS (Wilhelmina ENGELHORN, Johann Peter) was born 29 Dec 1929 in Lincoln, Illinois. He died 23 May 2002 in Beason, Illinois and was buried 28 May 2002 in Beason, Illinois. Kendall attended the rural schools of Logan County and graduated from Lincoln Community High School. He was drafted into the Marine Corps and served December 1951 to December 1953, in the Far East Command, Korean War. He was a member of VFW, American Legion, Disabled American Veterans, National Atomic Radiation Survivors, and National Association of Atomic Veterans. Since military service Kendall had been a dairy and grain farmer in Beason, Illinois. He was a member of Immanuel Lutheran Church, Lincoln. Kendall married Darlene Augusta APER on 11 Jun 1960 in Hartsburg, Illinois. Darlene was born 21 Oct 1939 in Hartsburg. Kendall Alan WIGGERS was born 2 Mar 1961 in Lincoln, Illinois. Kendall married Sheila Jean Rice BUHLIG on 11 Nov 1988 in Nashville, Illinois. Sheila was born 2 Jun 1961 in Pinckneyville, Illinois. Kimberly Ann WIGGERS was born 29 May 1962 in Lincoln, Illinois. Kimberly married William Charles BEAVERS on 5 Jun 1982 in Lincoln, Illinois. William was born 16 Jan 1961 in Aurora, Illinois. Kurt Arland WIGGERS was born 17 Mar 1967 in Lincoln, Illinois. Kurt married Debra M. Long CARLISE on 26 Jun 1993 in Great Falls, Montana. Debra was born 11 Dec 1961 in Pamona. 30. Thelma June WIGGERS, twin, (Wilhelmina ENGELHORN, Johann Peter) was born 4 Jun 1933 in Lincoln, Illinois. Thelma attended the rural schools of Logan County and graduated from Beason High School. Following graduation she worked as an office assistant and bookkeeper for a small locally owned loan company. She quit after a year to raise her family and then returned to work as head cook in her children's school cafeteria. She left this position to become head cook at a nursing home in Lincoln. Thelma married John William MATSON on 22 Nov 1953 in Lincoln, Illinois. John was born 11 Jun 1931 in Lincoln, Illinois. John served in the U.S. Army as a corporal, sharp shooter. He was inducted 9 January 1952 and discharged 10 September 1953. Pamela Sue MATSON was born 8 Oct 1954 in Lincoln, Illinois. Pamela married Rex Allen MALLEKOOTE on 10 Apr 1976 in Lincoln, Illinois. Rex was born 15 Mar 1947 in Plainwell, Michigan. Rebecca Ann MATSON was born 2 Feb 1957 in Lincoln, Illinois. Rebecca married Michael Craig GESKY on 25 Oct 1975 in Lincoln, Illinois. Michael was born 23 Feb 1957 in Lincoln, Illinois. Valerie Jean MATSON was born 6 Mar 1958 in Lincoln, Illinois. Valerie married Michael Alan WHITE on 6 Jun 1981 in Lincoln, Illinois. Michael was born 8 Jul 1954 in Springfield, Illinois. Roger William MATSON was born 3 Jun 1959 in Lincoln, Illinois. Roger married Julie Anne BLACK on 21 Oct 1978 in Lincoln, Illinois. Julie was born 8 Jul 1959 in Lincoln, Illinois. Randall Lee MATSON Twin was born 8 Dec 1960 in Lincoln, Illinois. Randall married Ann Louise DENNING on 3 Nov 1979 in Lincoln, Illinois. Ann was born 4 Oct 1960 in Lincoln, Illinois. Rodney Lynn MATSON Twin was born 8 Dec 1960 in Lincoln, Illinois. Rodney married Tammy Lynne CARLSON on 4 Oct 1980 in Lincoln, Illinois. Tammy was born 19 Jul 1962 in Lincoln, Illinois. 31. Milton Julian WIGGERS, twin, (Wilhelmina ENGELHORN, Johann Peter) was born 4 Jun 1933 in Burtonview, Illinois (Logan County). He died 22 October 2014 at his home in Springfield, Illinois. Milton attended the rural schools of Logan County and graduated from Beason High School in 1951. He was Assistant Vice President of Mortgage and Real Estate Investments in the financial division of the Horace Mann Insurance Company in Springfield. He retired on 1 February 1993 after 33 years of service. Milton was a member of the Springfield Luncheon Optimist Club since 1976. He held many offices in the Optimist Club including a year as governor of the Illinois State District of the Optimists. He was a member of the Northside United Methodist Church and a member of their Men's Group. Milton married Patricia Eileen FRENCH, daughter of Warren T. FRENCH and Alice GIBSON on 8 Sep 1957 in Springfield, Illinois. Patricia was born 16 Mar 1935 in Decatur, Illinois. She died 29 August 2010 in Springfield, Illinois. She attended elementary schools in Indiana and eastern Illinois. She graduated from Tuscola High School in 1953. She then graduated from Decatur-Macon County Memorial Hospital, Decatur, IL in 1956 where she earned her degree in Nursing. As a registered nurse, she was employed by Illinois State School, Lincoln, IL. She continued her nursing profession with Springfield Clinic, Memorial Hospital, Dr. William White, and Doctors Hospital in the Springfield Area until her retirement. 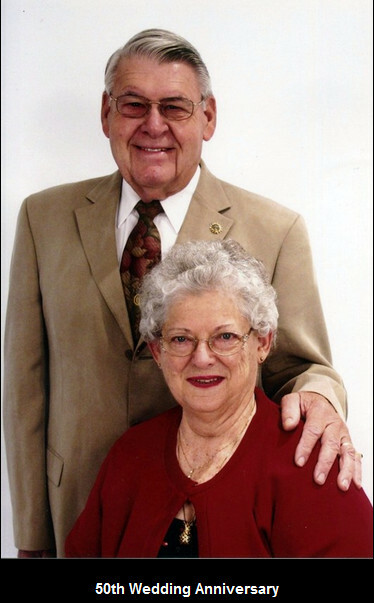 Pat was a longtime devoted member of the Northside United Methodist Church in Springfield. She was a member of the United Methodist Women, and worked countless hours in service for the church. She was a great cook, and you could always find her in the kitchen of the church preparing meals for many events. Pat was also an avid reader, an accomplished seamstress and loved to knit. She would make blankets and back packs for mission outreach projects through the church. Mark Warren WIGGERS adopted was born 22 Jun 1961 in Springfield, Illinois. Mark married Patricia Marie PANTIER on 28 Nov 1987 in Springfield, Illinois. Patricia was born 27 Jun 1960 in Springfield, Illinois. Deborah Eileen WIGGERS was born 14 May 1962 in Springfield, Illinois. Deborah married (1) Kevin Michael BRIDGES on 18 Apr 1981 in Springfield, Illinois. The marriage ended in divorce. Kevin was born 17 May 1963. Deborah also married (2) Thomas Richard BILYEU II on 20 Jun 1987 in Springfield, Illinois. Thomas was born 26 Aug 1963 in Springfield, Illinois. Douglas Edward WIGGERS was born 8 Apr 1964 in Springfield, Illinois. Douglas married Carol Sue DOGLIO on 12 May 1984 in Auburn, Illinois. Carol was born 27 Sep 1963.